The University of Queensland was established by an Act of State Parliament on December 10, 1909 to commemorate the 50th anniversary of Queensland’s separation from the colony of New South Wales. Its foundation four months later made it the first university in the State and the fifth in the nation. In 1911, 83 students (including 23 women) attended the first classes in Government House, George Street, Brisbane. The First World War slowed development but afterwards, research and teaching burgeoned as demand for higher education increased. The fledgling University outgrew the buildings in George Street, and the search for a larger campus began. A site at Victoria Park (now partially occupied by the Mayne Medical School) was secured by statute in 1922 as a possible permanent home for the University. 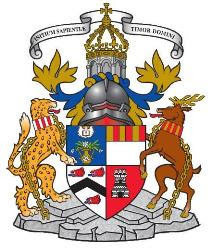 In 1927 Dr James O’Neil Mayne, in association with his sister Miss Mary Emelia Mayne, provided $380,000 to enable the Brisbane City Council to resume 274 acres of land at St Lucia and provide it to the University as its permanent home. Named after the sugar-producing island of St Lucia in the West Indies, the area originally was used to farm sugar, arrowroot, cotton, maize and pineapples. A sugar mill, washed away by the 1893 flood, operated where the University boat shed now stands. Lack of finance delayed development of the site, and so the University lent it for a Farm School administered by the State's Department of Agriculture and Stock until construction began in 1937. The first building, later named the Forgan Smith Building after the Premier of the day, was completed in 1939. The Second World War diverted its use to military purposes and it served first as advanced headquarters for the Allied Land Forces in the South West Pacific. The University's move from George Street to St Lucia was accomplished between 1946 and 1972. In 1990, the University merged with Queensland Agricultural College (now UQ Gatton) as part of a unified national system abolishing the binary system of universities and colleges of advanced education. And in 1999, UQ Ipswich opened as one of the first purpose-built, completely Web-enabled campuses in Australia. The University is organised into Faculties, Schools and Departments/Divisions. 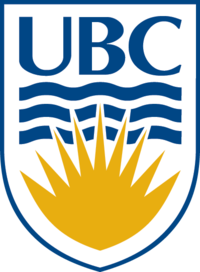 The University of British Columbia (UBC) is a Canadian public research university with campuses in Vancouver and Kelowna. UBC is rated as one of Canada’s top universities, and is well regarded worldwide. The university boasts some of the city's best attractions & recreation facilities, including the Museum of Anthropology, the Chan Centre for the Performing Arts, the UBC Botanical Garden and Centre for Plant Research, and endless opportunities to explore forested trails in the adjoining 763-hectare Pacific Spirit Regional Park. The University of British Columbia, aspiring to be one of the world's best universities, will prepare students to become exceptional global citizens, promote the values of a civil and sustainable society, and conduct outstanding research to serve the people of British Columbia, Canada, and the world. UBC consistently ranks as one of the top three Canadian universities by Research InfoSource and ranks as second in Canada and thirty-sixth in the world in the Academic Ranking of World Universities. In 2006, Newsweek magazine ranked the University of British Columbia second in Canada and 27th in the world.The Times Higher Education Supplement of the UK ranked UBC as second in Canada and thirty-third in the world in 2007. According to Maclean's University Rankings, UBC has the highest percentage of Ph.D level professors among all public universities in North America (92%). 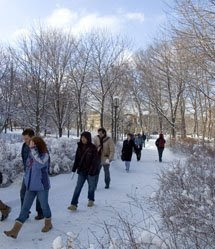 It has received widespread recognition by Maclean's and Newsweek magazines for its foreign language program; the Chinese program is North America's largest, and the Japanese program is North America's second largest (after the University of Hawaii).The Department of Art History, Visual Arts and Theory has been recognized consistently for the world-class artists who teach there. In 2003 the National Post stated UBC had the highest entrance requirements for undergraduate admission out of all universities in Canada. The University of Sydney, founded in 1850, is Australia's first university, and has an international reputation for outstanding teaching, as a centre of research excellence and as an active and engaged community leader. During 1848, William Wentworth proposed a plan to expand the existing Sydney College into a university in the Legislative Council. Wentworth argued that a state university was imperative for the growth of a society aspiring towards self-government, and that it would provide the opportunity for 'the child of every class, to become great and useful in the destinies of his country'. It would take two attempts on Wentworth's behalf however, before the plan was finally adopted. 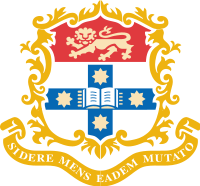 The University was established via the passage of the University of Sydney Act which was signed on 1 October 1850. Two years later, the University was inaugurated on 11 October 1852 in the Big Schoolroom of what is now Sydney Grammar School. The first principal was John Woolley. On 27 February 1858 the University received its Royal Charter from Queen Victoria, giving degrees conferred by the University equal rank and recognition as those given by universities in the UK . By 1859, the university had moved to its current site in the Sydney suburb of Camperdown. In 1858, the passage of the Electoral Act provided for the university to become a constituency for the Legislative Assembly as soon as there were 100 graduates with higher degrees. This seat in Parliament was first filled in 1876, but was abolished in 1880 one year after its second Member, Edmund Barton, was elected to the Legislative Assembly. Most of the estate of John Henry Challis was bequeathed to the university, which received a sum of £200,000 in 1889. This was thanks in part due to William Montagu Manning (chancellor 1878–1895) who argued against the claims by British Tax Commissioners. The following year seven professorships were created; anatomy, zoology, engineering, history, law, logic & mental philosophy, and modern literature. the Guild Centre of the Sydney College of Advanced Education. Prior to 1981, the Sydney Institute of Education was the Sydney Teachers College. The Orange Agricultural College (OAC) was originally transferred to the University of New England under the Act, but then transferred to the University of Sydney in 1994, as part of the reforms to the University of New England undertaken by the University of New England Act 1993 and the Southern Cross University Act 1993. In January 2005, the University of Sydney transferred the OAC to Charles Sturt University. The New England University College was founded as part of the University of Sydney in 1938, and separated to become the University of New England in 1954. In February 2007, the University agreed to acquire a portion of the land granted to St John's College to develop the Sydney Institute of Health and Medical Research. As a Catholic institution, in handing over the land St John's placed limitations on the type of medical research that can be conducted on the premises seeking to preserve the essence of the College mission. This has caused concern among the some groups who argue this could interfere with scientific medical research. However this is rejected by the university administration because the building is not intended for this purpose and there are many other facilities in close proximity where such research can take place. The University of Sydney continues to rise in global rankings, confirming its place within the top 40 universities in the world. The University’s humanities teaching and research was ranked fifth best in the world in the UK’s Times Higher Education Supplement (THES) World University Rankings published in October 2006. The University as a whole was ranked 35th in the world in the same league table. In the Newsweek global 100 for 2006, the University of Sydney was one of two Australian universities placed in the top 50 in the world. the Worldwide Universities Network (WUN) – an international alliance of 16 leading research universities. ICT policy development in collaboration with the Open University. The benefits from such benchmarking activities are clear. The Learning Community Scale was developed in conjunction with Oxford University. The development of the MEd (Higher Education) program was a result of benchmarking with Edinburgh University. Professional accreditation is another way the University’s professional faculties benchmark themselves and the quality of their programs. The University has relationships with 41 accrediting bodies, including six international bodies. The four largest faculties by (2007) student enrollments are (in descending order): Economics and Business; Arts; Health Sciences; Science. Together they comprise 57% of the University's students. Each contains a student enrollment over 5,000, and they are indeed the only such faculties. It is notable that the Faculty of Economics and Business, disproportionately to other Faculties consists of about 49% international students, whilst the University-wide average rate is about 22% (2008). The University is committed to the communities to which it belongs internationally, nationally and locally. Numerous community links have been forged by academic and research disciplines as well as dedicated units such as the Koori Centre and Yooroang Garang, which work closely with Indigenous communities. 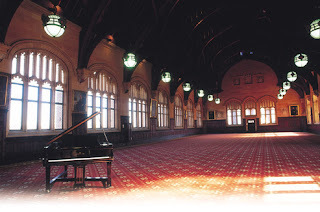 Sydney Conservatorium of Music, Sydney College of the Arts, the University Museums and the Seymour Theatre Centre open the University’s cultural life to the community. In 2006, around 50,000 people visited the University’s outstanding Museums; a further 22,000 attended Conservatorium performances and 170,000 went to performances and public lectures at the Seymour Centre. A further 21,000 people participate each year in community education courses offered by the Centre for Continuing Education. Many student organisations, such as the debating club and drama society, have long traditions of enriching student life and providing a springboard for future careers. High profile Australians such as Prime Minister John Howard, Justice Michael Kirby and radio presenter Adam Spencer have been University of Sydney debaters. the Australian Women’s Water Polo team, featuring Sydney University Lions Fiona Hammond and Tanielle Gofers, won the World Championship. Northwestern University (NU) is a private, nonsectarian, coeducational research university with campuses located in Evanston, Illinois and downtown Chicago, Illinois. The university is organized into eleven schools and colleges granting undergraduate, graduate, and professional degrees. The Kellogg School of Management, Medill School of Journalism, Feinberg School of Medicine, McCormick School of Engineering and Applied Science, School of Communication, School of Education and Social Policy, and School of Law are often ranked highly in their respective fields. Student enrollments include approximately 7,800 undergraduate and 6,300 graduate students. Northwestern competes in the NCAA's Division I and is a founding member of the Big Ten Conference. 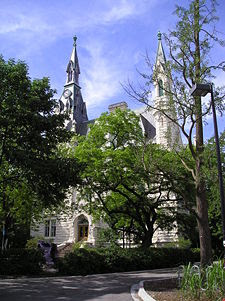 Founded in 1851 by Methodists from Chicago (including John Evans, after whom Evanston is named), Northwestern opened in Evanston in 1855 with two faculty members and ten students. The school’s nine founders, all of who were Methodists (three of them ministers), knelt in prayer and worship before launching their first organizational meeting. The University's name, Northwestern, came from its founders' desire to serve citizens of the states that occupied the area of the former Northwest Territory: Ohio, Indiana, Illinois, Michigan, Wisconsin, and part of Minnesota. The original Evanston campus in 1855 consisted of only one building, a temporary structure called "Old College." University Hall, the first permanent building, was constructed in 1869. 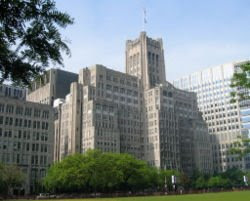 Northwestern built a campus in Chicago for the schools of law, medicine, and business in the 1920s. The phrase on Northwestern's seal is Quaecumque sunt vera -- in Latin, "Whatsoever things are true" from Philippians 4:8. Also on Northwestern's seal, a Greek phrase inscribed on the pages of an open book: ho logos pleres charitos kai aletheias, which translates as "The Word... full of grace and truth." This phrase comes from the Gospel of John 1:14: "And the Word was made flesh, and dwelt among us, and we behold His glory, and the glory was of the only begotten of the Father, full of grace and truth." Both the Latin and Greek phrases express the values of the University's founders, and recall Northwestern's Methodist heritage. Northwestern's founding charter granted the school a permanent exemption from paying property taxes. For this reason, Northwestern has often endured a difficult relationship with Evanston's government. Tensions have arisen regarding building codes, law enforcement, and politics. Recently, factions of Evanston's government have attempted to divide Northwestern's campus into several different wards, so as to reduce students' voting potency. 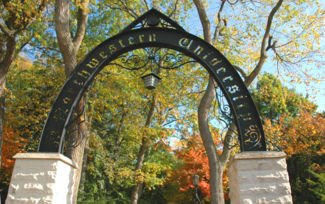 Today Northwestern is a major private research university located on lakefront campuses in Evanston and Chicago. Approximately 2,300 full-time faculty teach 13,500 full-time students, 7,700 of whom are undergraduates. A freshman class numbering more than 1,900 is selected from nearly 15,000 candidates. Sixty percent enroll with financial aid. Women constitute approximately half the undergraduate population; more than a fourth of the undergraduates are minority students. Students come to Northwestern from all 50 states. Forty-four percent of this year's entering class is from the Midwest, 21 percent from the East, 18 percent from the West, 9 percent from the South, and 7 percent from foreign countries. The median secondary school ranking of the students in the current freshman class is in the 96th percentile. Moreover, the median combined score of the Scholastic Aptitude Test for the class as a whole is approximately 1400. More than 40 percent of the freshman class was recognized by the National Merit Corporation for distinguished academic achievement. The Northwestern student body ranks among the top 15 schools nationally in the number of National Merit and National Achievement scholars. About one-third of the freshman class received some form of advanced placement upon entrance. Although its primary function is academic, the University also provides a special kind of community within the cities of Evanston and Chicago. Cultural, social, and athletic events are available on campus. Extensive nonacademic programming is offered through Norris University Center, the residential colleges, and various residential groups. 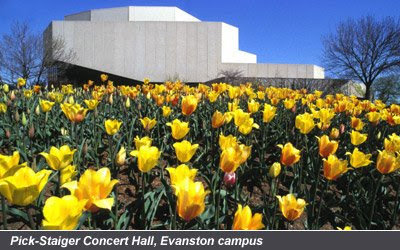 The fine and performing arts complex further enriches the Northwestern environment. Picturesque and historic Old Aberdeen - home of Elphinstone's original foundation - is now the main university site, only one mile from the city centre. The 15th century remains very much alive in King's College, offering a sense of history in the daily life of a university now focused on the needs of the new millennium. William Elphinstone established King's College to train doctors, teachers and clergy for the communities of northern Scotland, and lawyers and administrators to serve the Scottish Crown. Much of the King's College still remains today, as do the proud traditions, which the Bishop began. The university opened with 36 staff and students and, in 1497, boasted the first chair of medicine in the English-speaking world. But the college also looked outward to the wider world of Europe and beyond, taking the great European universities of Paris and Bologna as its model, Elphinstone's college embraced all the known branches of learning Arts, Theology, and Canon and Civil Law. 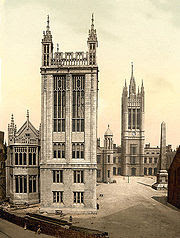 In 1593, a second, Post- Reformation University, was founded in the heart of the New Town of Aberdeen by George Keith, fourth Earl Marischal, and until King's College and Marischal College were united to form the modern University of Aberdeen in 1860, Aberdeen had two universities. At first, Arts and Divinity were taught at King's and Law and Medicine at Marischal; a separate Science Faculty - also at Marischal - was only established in 1892. The university opened all Faculties to women in 1892, and in 1894 the first 20 matriculated female students began their studies. Four women graduated in arts in 1898; by the following year, women made up a quarter of the faculty. 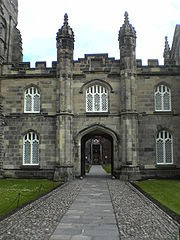 Throughout the 20 th century, particularly since the 1950s, Aberdeen consistently increased student recruitment, which is now in excess of 10,000. In the last 10 years, picturesque and historic Old Aberdeen, home of Bishop Elphinstone's original foundation, has again become the main university site. The University has also invested heavily in medical research, where time and again University staff have demonstrated their skills as world leaders in their field. The custom-built Institute of Medical Sciences, completed in 2002, was designed to provide state-of-the-art facilities for medical researchers and their students. 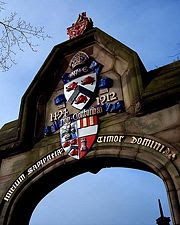 In 1999, the University launched its ambitious fund-raising campaign, The Sixth Century Campaign, to mark the start of the University's sixth century of existence. With the support of HRH The Prince of Wales as Campaign Patron, our aim is to raise £150 million by 2010. The fact that the University has become what it is owes much to the determination and vision of a very few individuals, including a distinguished list of scholars who in their own unique ways, helped to shape the University into the world-class institute we have today. This is only the briefest glimpse into the history of the University of Aberdeen. A far more detailed account can be found in the publication Crown and Gown, written by Jennifer Carter and Colin McLaren and published by Aberdeen University Press. This publication was the main source for this page and permission for use of the material is gratefully acknowledged. Crown and Gown can be purchased at most good book shops - price £6.95. School of Education Formerly the Aberdeen campus of the Northern College of Education which was amalgamated into the university in the later half of the 1990s.